UMB is now qualified for using the "HR Excellence in Research" badge. This is good news for researchers. UMB applauds the European initiatives to promote researcher mobility and good working conditions for researchers in Europe (Euraxess), and has signed the "European Charter for Researchers" (Charter) and "European Code of Conduct for the Recruitment of Researchers" (Code) . The European Commission's Recommendation on the "European Charter for Researchers and Code of Conduct for the Recruitment of Researchers”, referred to as the Charter and Code, are two documents containing recommendations concerning the responsibilities and obligations of researchers, employers and funders as regards working conditions, knowledge development and the sharing of knowledge, career planning for researchers and researcher mobility. Obtaining the European Commission's ‘HR excellence in research' badge – as UMB recently has done - acknowledges that we are alignment with the principles of the European Charter for Researchers and Code of Conduct for their Recruitment. - This is good news for everyone who is considering a career in research. 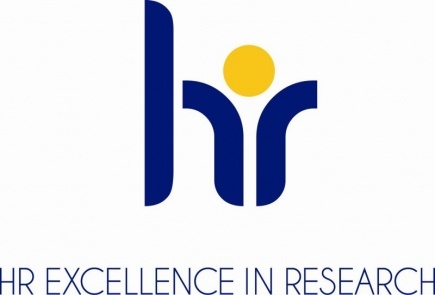 The "Hr excellence in research"-badge is a quality assurance that UMB is working in accordance with international obligations when it comes to working conditions, knowledge development and – sharing, career planning for researchers and researcher mobility, said UMBs director of research, Ragnhild Solheim. Solheim thinks that in the long-term, it will lead to better conditions for research across national borders if all European universities were to adhere to the Charter and Code. - This quality badge opens up doors in the sense that it means researchers, both nationally and internationally, can be assured that we follow the same guidelines. I hope this will contribute to increased interest from researchers all over the world, she said. UMB has its own Action plan for "Charter and Code"